Heeft u een vraag voor Camellia Homestay? 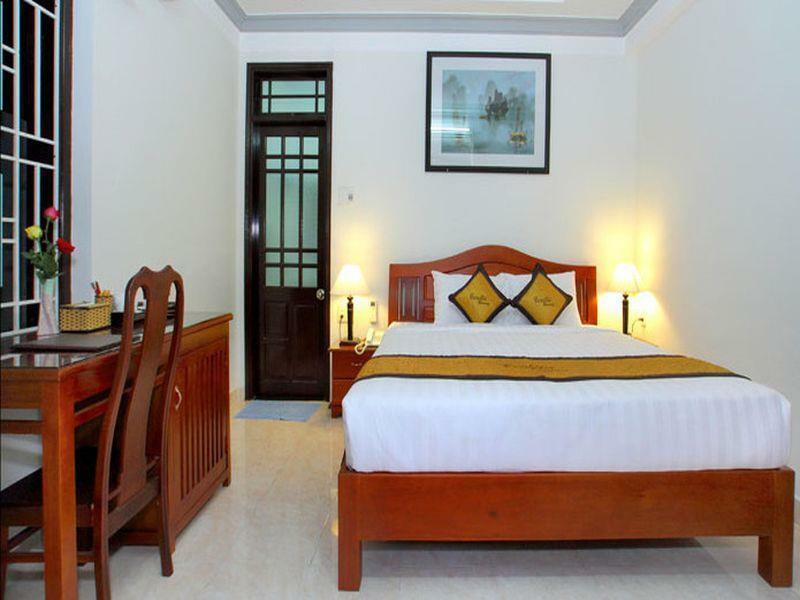 Goed gelegen in Cam Chau, is het Camellia Homestay het ideale vertrekpunt voor uw excursies in Hoi An. Gelegen op 2 km van het hart van de stad, bevindt dit 1-sterren hotel zich op een excellente locatie met de grootste attracties binnen handbereik. Dankzij de praktische locatie liggen alle belangrijke trekpleisters in de buurt van het hotel. 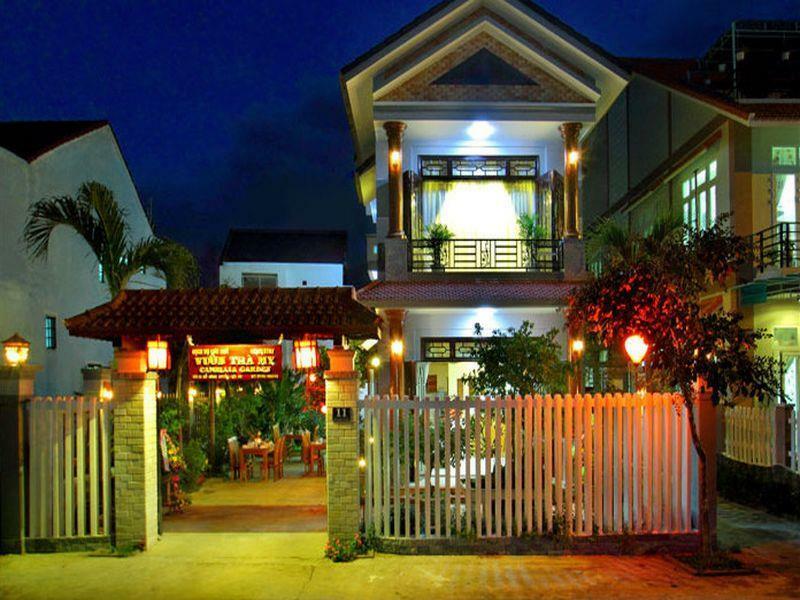 Het Camellia Homestay biedt tevens vele faciliteiten om uw verblijf in Hoi An zo aangenaam mogelijk te maken. Dit hotel beschikt over vele faciliteiten die zelfs de meest veeleisende gasten zullen overtuigen. Ervaar kamerfaciliteiten van hoge kwaliteit, inclusief plasma tv, draadloos internet (gratis), rookvrije kamers, airconditioning, wekservice, om tot rust te komen na een lange dag. Het hotel biedt een uitstekende variëteit aan recreatieve faciliteiten, inclusief tuin. Ontdek een boeiende mix van professionele dienstverlening en een breed scala aan faciliteiten in het Camellia Homestay. Camellia was onze tweede stop. Wat een ontzettend lieve mensen/familie. Door vertraging hebben we een paar keer onze pick-up tijd vanaf het vliegveld moeten veranderen maar dat was totaal geen probleem. Bij aankomst werden we hartelijk ontvangen met een kopje thee en wat vers fruit en yoghurt. We kregen een mooie ruime superschone kamer die van alle gemakken voorzien was. ( goede WiFi verbinding ) De homsestay ligt precies tussen de stad en het strand in ( beiden 10 minuten fietsen ) wij zijn hier alle dagen in de watten gelegd. Gebruik de (gratis) fietsen en ontdek de omgeving dan kom je oneindige rijstvelden om de hoek tegen.Puur genieten. Oprecht lieve en behulpzame/zorgzame mensen, zeer gastvrij en hartverwarmend! Fantastisch! Voelde als een 2e thuis en kan dan ook aan iedereen aanraden! We rent scooters, so no issue getting to the downtown. We love staying here and we always very welcomed by the staff. 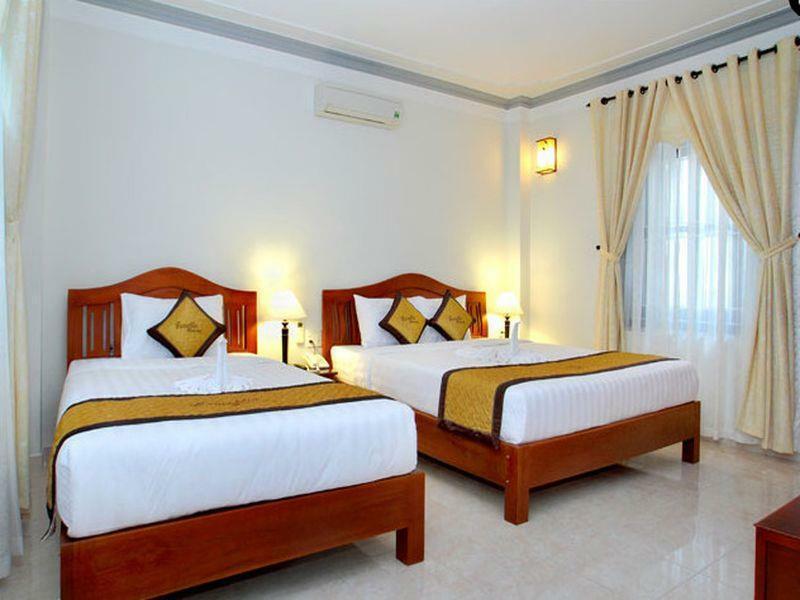 There is always a nice breakfast, clean rooms, comfortable beds and great price. I highly recommend Camelia homestay ! 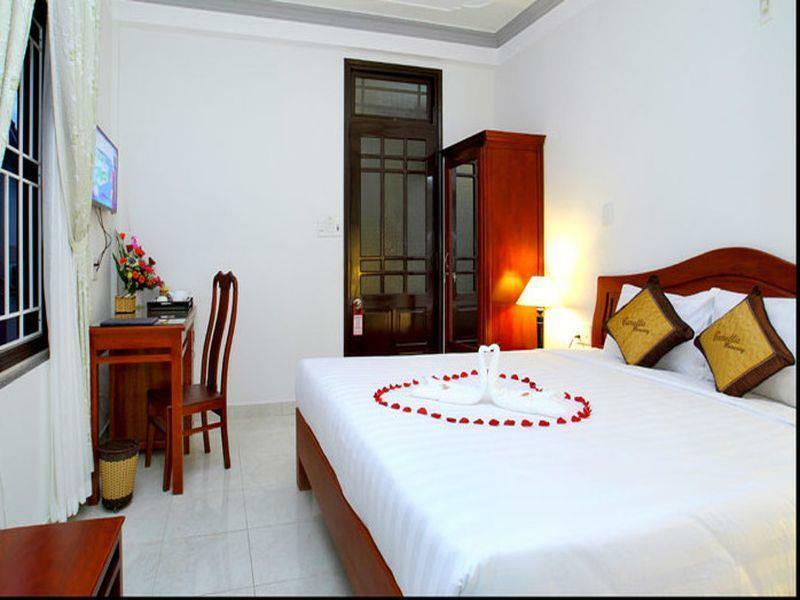 Excellent value for money, beautiful home and rooms, excellent breakfast . But the most amazing part was the staff and Camelia herself. She really goes out of her way to make you feel comfortable and at home. It's like being with family. She is so happy to host you in her home! One of the highlights of my stay in Vietnam. Don't be deterred by being slightly out of the centre. Camelia provides a bicycle free of charge! We really enjoyed the amazing hospitality at Camellia. We weren't sure what a homestay entailed, but were pleasantly surprised. We were a bit further from old town than we'd expected to be, but it was actually nice to be away and the bike riding into to town was a plus. The owner was soooooo enthusiastic and passionate . She was such kind and cooked for us and also gave us gifts when we leaved. And the staff did her best to help us in any problems and she was a pretty nice and patient from the beginning till the end. I really enjoy this clean , tidy and peace lovely homestay!! !THANK YOU SOOOOO MUCH! If it would be possible, we would rate it 20/10! The whole family is very very nice! The aunt even made us a BBQ for free! It tastes amazing! The room was clean! You can rent bikes for free to drive into the city (10 min). We would absolutely recommend that homestay!!! We planned on staying 3 nights and eventually stayed 5. The house is just between the city and the beach and the free bicycles make everything easy to reach. The house and the rooms are clean comfortable and pretty, the food was also great. But most of all the family are amazing, such warm kind people who helped us so much and made our trip so memorable. We enjoyed our stay till the last second. The family is very friendly and helpful. We could not have asked for more, it was simply excellent. Our stay at Camellia was incredible! Everything about it blew our expectations away - from the special New Years Eve dinner with the family to the incredible warmth we received from everyone at the house. I went in expecting a hostel and left feeling like a part of the family. I wish them the best and hope that this review brings them more business - as they deserve every bit of it! Feeling so welcome and friendly. Amazing service and can not fault! The family at Camellia were sensational! Picked up from airport late at night, felt welcome, always smiling and go out of their way to do anything for you. This beat all expectations and happily recommend to anyone. Just such nice people. Have not been to a better place! The family is just wonderful, heartwarming and welcoming! The best (and biggest) breakfast - try Cao Lao and Pho Bo - and very good (and strong - if you like it) coffee! We got very good advice on food in Hoi An and even were invited to have BBQ with the family on our last evening. Can highly recommend this place! You can even use their bicycles for free, so you get easily to the center or the beach. We loved our hosts. They were very friendly and generous. One evening they prepared a meal for their guests, and it was great fun. The free bikes and nearby restaurants were wonderful.